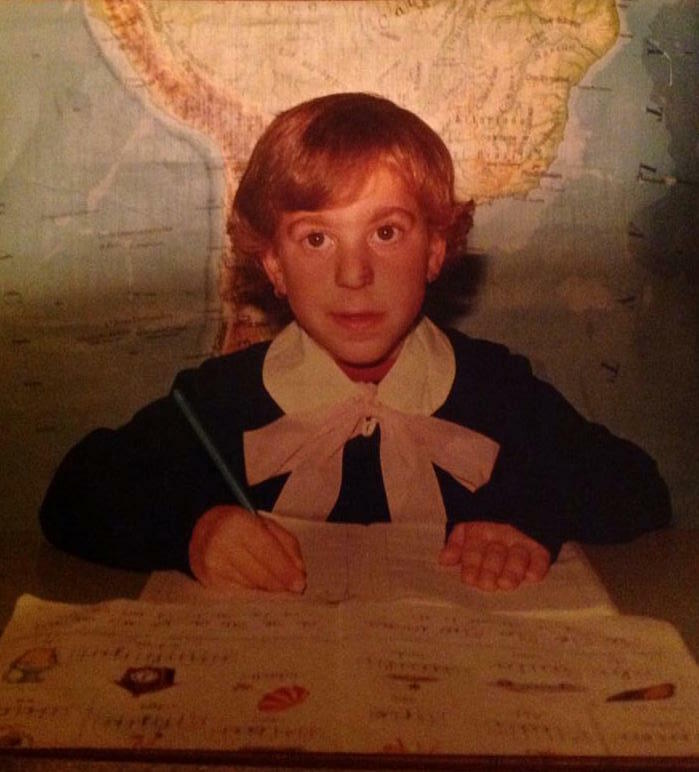 My sister, Roseanne, has always been the writer in the family. I remember growing up in Italy when we were kids, when she declared she would be a writer. We had to be under ten years of age. She would retrieve to our then shared bedroom and write for hours on end. She would "research" topics, the only way 10 year olds can and write in her journal or lengthy papers for school. Book reports were her favorite, they included her two favorite activities, reading a book and writing about it. She would frequently forget to eat lunch or meet me for our afternoon "merenda" because she'd be reading or writing and too involved to step away for our afternoon snack, a habit of hers to this day. I, for one, have never in my life forgotten to eat! I, on the other hand, cringed when the dreaded book report was assigned. They included my two least favorite activities, reading a book and writing about it! The typical book report in elementary school was a few pages. I remembered creating a master plan. I was so proud of myself and at my cleverness! Since in those days, reports were hand-written, I would just write in really big font! Like really big! I could manage to fit one paragraph in those few required pages! My master plan lasted for two reports. On the first report, my teacher noted that I had missed several key elements from the book. But since she didn't mention my giant hand-writing, I kept at it for a second report the following month. After all, she didn't mention that hand-writing, right? But when I get the second report back, I see that I've been officially outed. "You missed several key elements again, next time, you will need to submit four pages." Well, that didn't last long. I mean, look at this face? Doesn't this say studious all over it? Check-out the bow! Fast-forward some 30 years. My sister is an established book writer and researcher, just as she claimed. It took longer for me to follow suit. A few years ago, while reading one of my favorite magazines, the no-longer in print, Italian Cooking & Living, I decide to submit a short story. They have a feature called "Heirloom" and I spent an entire afternoon writing about my beloved grandparents and our heirloom recipe. I found the process therapeutic, nostalgic, sometimes painful but overall wonderful. The words, it seems, came very easily to me. I knew what I wanted to say and couldn't type them fast enough. 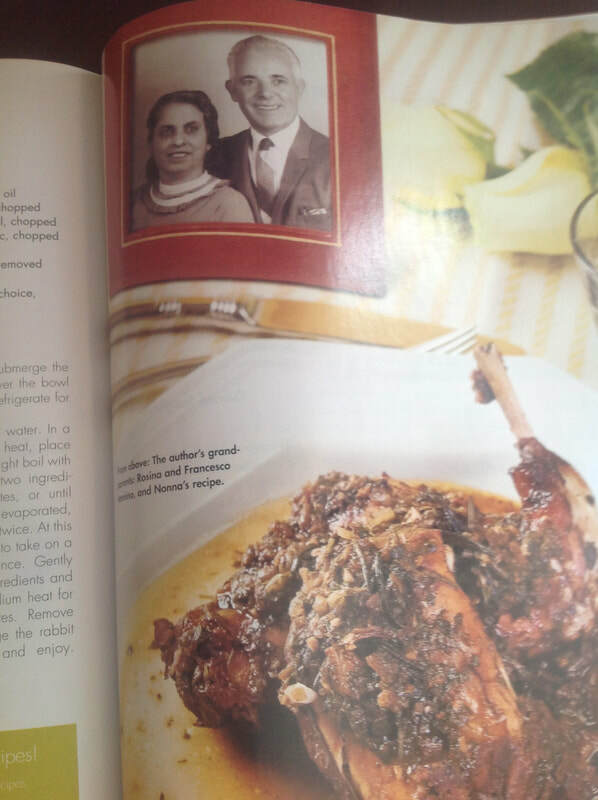 It gave me chance to ponder on my grandparents, write a recipe, look through old pictures, a process I loved. This was nothing like a book report. A few weeks later, I get notification from the magazine letting me know that the article was accepted for publication. A few months after that, I open the magazine and see my grandparents staring back at me. Such an emotional experience that, as they say, the rest is history. Today, I am a Food & Lifestyle Columnist for Italia Living, and a Contributing Food & Travel Editor for Italian Sons and Daughters of America. Via these two outlets, my stories and recipes have been read and shared thousands of times on social media. The recipes I grew up on and have cherished for the last 40 years are now being prepared by thousands of people all over my adopted America. I am also on the Staff of Foodies of New England and a Contributor to Tastes of Italia. Other outlets include Huffington Post and Pink Pangea. My freelance availability includes food and travel writing, product reviews, sponsored travel to Italy, hotel & restaurant reviews in Italy, and recipe development. Happy to discuss all other assignments. Click here to see clips.